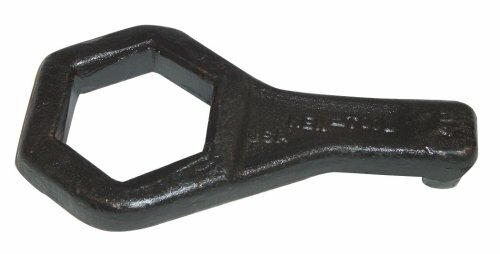 Ken-Tool Porkchop cap nut wrench is designed to hold outer cap nut on dual wheels while the inner nut is turned. Lip fits in hole to secure wrench in place to prevent slipping. Lip fits in hole to secure wrench in place.